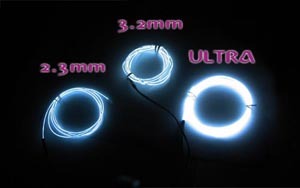 1) The bend radius of Maxi EL Wire is 5mm, (the same as our standard EL Wire). 2) The breaking strain is at 1kg, (the same as our standard EL Wire). 3) Pressure on the Maxi EL Wire should not be more than 1kg, (the same as our standard EL Wire). 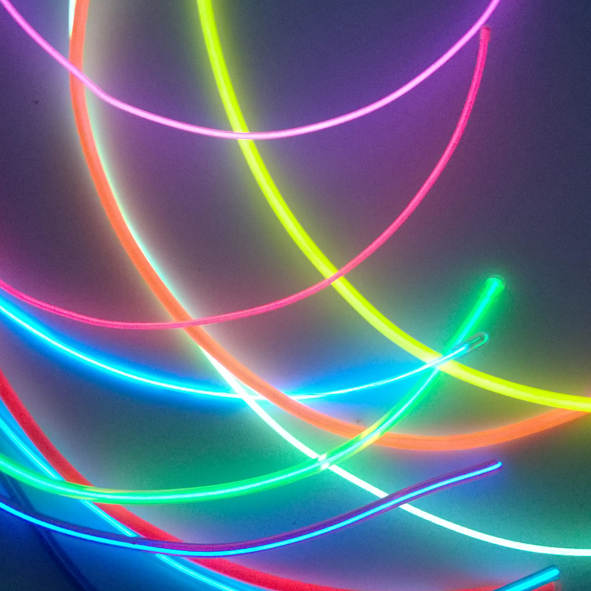 Unlike Standard EL Wire, the Maxi EL Wire will hold itself rigid when bent into its desired shape. You can run several EL Wire lengths from one Driver/Inverter, please visit our Additional Items section where you will find splitters and extender wires.